The Rose Kennedy Greenway is excited to participate in the Flash Forward Festival as an outdoor exhibition site and provide a prominent location in the North End Parks for Christopher Churchill’s photography. We are delighted the photographer has chosen the Greenway District as his subject of focus as the area plays an important role in connecting the city to the waterfront. 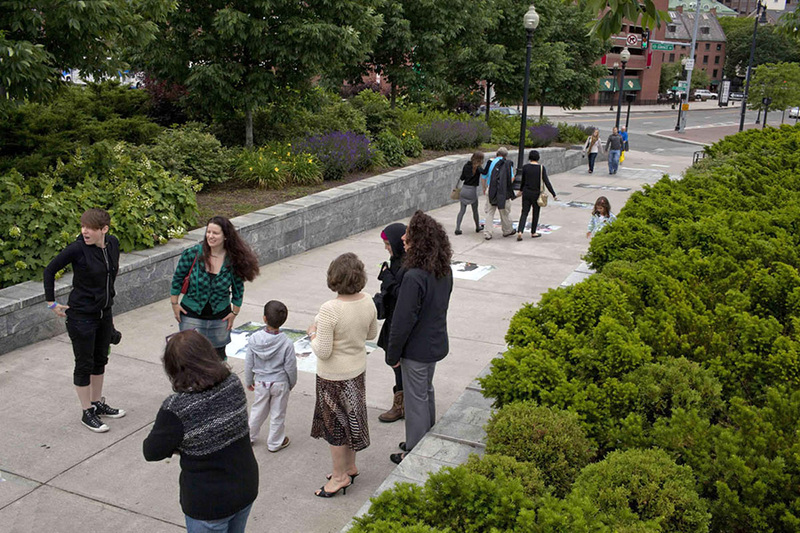 The Greenway brings together the diverse neighborhoods of Boston and Churchill’s photographs capture the many walks of life that converge on the Greenway. The outdoor installations here, along the Harbor Walk and at Battery Wharf bring art outdoors and add an element of surprise and delight to the experience of Summer on the Waterfront. The Rose Fitzgerald Kennedy Greenway is a ribbon of contemporary urban parks that connects people and the city by providing beauty, fun, and a sense of community in Boston. Now, four of Boston’s most diverse and dynamic neighborhoods — formerly divided by a massive structure of steel and asphalt — are linked by beautifully landscaped parks, gardens, and plazas and reconnected with the harbor. For more information, visit www.rosekennedygreenway.org. The Conservancy is the designated steward of the Rose F. Kennedy Greenway, a new ribbon of contemporary urban parks in the heart of Boston. We are delivering on the promise of a beautiful, vibrant, innovative city park. Established in July, 2004 through an agreement with the Massachusetts Turnpike Authority, the City of Boston, and the Commonwealth of Massachusetts, the Conservancy is a private, non-profit organization, which operates, maintains, preserves and manages the parks on behalf of the public. The conservancy raises private and public funds to support the parks, aspiring to excellence in design, operations, and public programming.